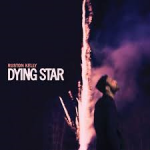 Share the post "Quick plays: RUSTON KELLY, MARC RIBOT, KITTY MACFARLANE"
It certainly is that, mixing country (there is plenty of Nashville in the sound), folk and Kelly’s knack for adding in a pop melody. That pop sensibility is present on the wonderful ‘Mockingbird’, one of the album’s more uplifting numbers, whilst ‘Faceplant’ dwells on things going wrong in daily life. Marc Ribot wanted to release this album of mainly previously recorded protest songs partly our of frustration that few people know of them or sing them now. Ribot himself has worked with many artists including Robert Plant, Elvis Costello and the Black Keys. The new song ‘Srinivas’ is based on Srinivas Kuchibhotla, a Sikh immigrant murdered in February 2017 by a racist who mistook him for a Muslim. Steve Earle adds his vocal to this powerful song. Tom Waits adds his distinctive vocal to ‘Bella Ciao (Goodbye Beautiful)’, whilst Steve Earle appears again on ‘Ain’t Gonna Let Them Turn Us Round’. 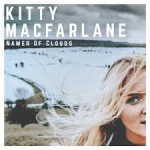 Kitty Macfarlane has released an EP ‘Time & Tide’ in 2016 to date and now we have her full debut album. Jacob Stoney and Sam Kelly (who is the ‘go to’ for young folk musicians) produced the album, with both playing on the album as well and a number of Kelly’s band the Lost Boys make an appearance too. The title track highlights her soothing and melodic singing, based on Luke Howard the man who have clouds their cirrus, cumulus etc. classifications. Elsewhere we have a tale of turning seventeen and what that means on ‘Seventeen’, then the intriguing ‘Sea Silk’ which starts with the voice of Chiara Vigo, the last of the silk seamstresses who lives on Sardinia. Her retelling of Gerald Manley Hopkins’ poem ‘Inversnaid’ closes the album with a gentle flourish. Of note on each song are the ‘found sounds’ which were recorded in various locations and include birdsong, waterfalls and knitting needles. These add marvellously atmospheric moments to each song. This entry was posted in ALBUM REVIEWS, ALBUM REVIEWS (Mobile), All Posts, Quick Plays and tagged acoustic, album, country, Dying Star, folk, Kitty Macfarlane, Marc Robot, Namer Of Clouds, review, Ruston Kelly, Songs Of Resistance 1942-2018, Steve Earle, Tom Waits. Bookmark the permalink.